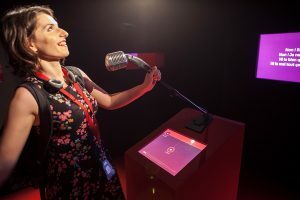 The National Library of France organized in 2015 an exhibition devoted to the life and career of Edith Piaf. 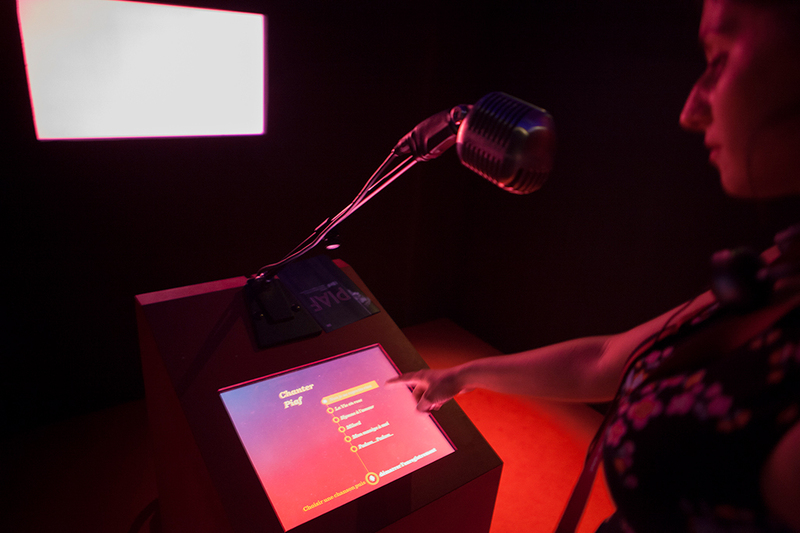 At the heart of the exhibition, the visitor was able to practice a Karaoke. 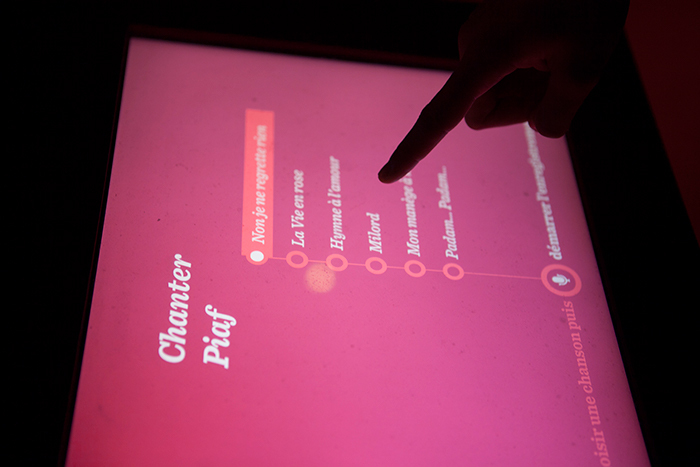 Located behind a curtain, in a small room with a cozy atmosphere, the device offered a choice of six songs. At the end of the session, the apprentice singer could listen or e-mail the recording that had been made. This device has been a great success with the public, visitors, often in small groups or couples, becoming actors in their own discovery.